Semi-precious Go Stones for the Serious Collector. 180 Stones per set, 10mm x 21.5mm. Click on a stone below to see the Go Stones Gallery. Enjoy the feelings that come with displaying objects of beauty. Experience the beauty of each stone, each one a unique work of natural art. I do reccommend talking to me before paying. would like to see pictures of a particular pair of stones on a Go board. Please contact me.< 510.872.4476 or e-mail us. 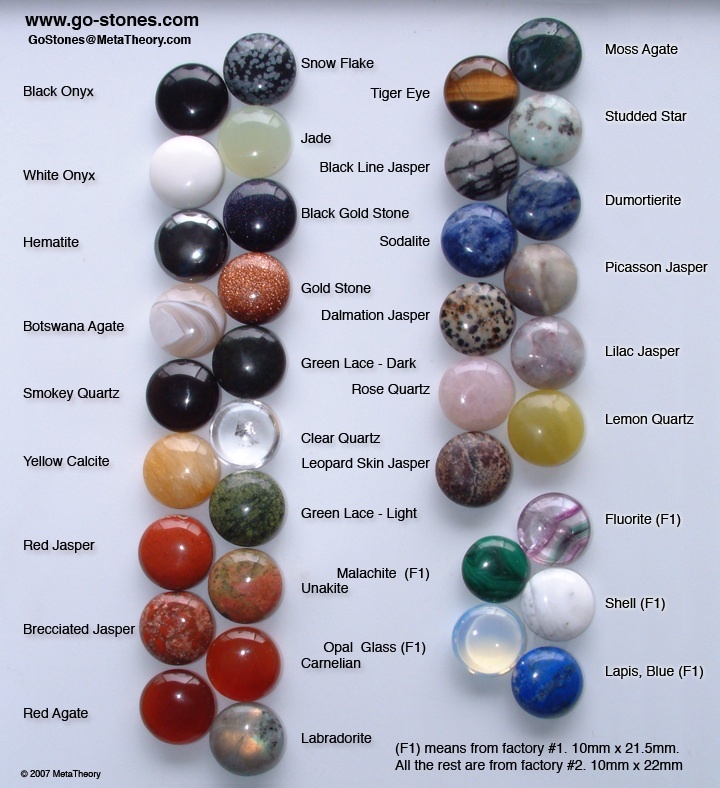 I can also make custom Go Stones Sets made out of the Semi-precious stones of your choice. Just ask!.